Since delivering our first meal in San Francisco two years ago, we at Zesty are proud that we’ve grown into the city’s market leader for office catering. We’ve now served over two million healthy meals to tens of thousands of people across hundreds of companies. Today, we are excited to announce our launch into our second market, Silicon Valley’s Peninsula, where we will initially serve companies from San Mateo to Mountain View. Zesty customers can now look forward to healthy and delicious catered lunches from restaurant partners such as Calafia Café, Sam’s Chowder House, Oren’s Hummus and Rangoon Ruby. After raising our $17M Series A funding round from Index Ventures and Founders Fund, we have focused on ensuring we have a profitable, scalable service and wanted to establish a strong market leadership position in San Francisco before expanding further. We now calculate nutrition facts and manage allergen information on every dish from every restaurant with our own proprietary nutrition analysis software. We have also developed algorithms that match a Zesty Catering Captain with every task associated with every order, as well as restaurants and dishes with every meal. This has resulted in our overall operating level, a measure of our service reliability as a company, increasing from 95% to 98% over the past year. To facilitate Zesty’s Peninsula expansion, which will be run out of our new Menlo Park office, we have hired two world-class food service executives to take our customer experience to the next level. First, Nate Keller has joined us as our Director of Food. Nate was most recently the Founding Executive Chef at Sprig and previously ran Google’s world-renowned food program as its Executive Chef, where he oversaw a staff of 675 employees. Secondly, William Douillet has joined as our Director of Service & Hospitality and will manage our Catering Captain program. William was previously Senior Director of Operations overseeing all of Michael Mina’s restaurant group, and prior to that, was Director of Hospitality and Experience Design for Summit Series. Between them, Nate and William have over two decades of high-level food service experience and we are delighted to have their expertise at Zesty. “The employee experience in the office catering world has suffered due to a severe lack of thought being put into it,” said William. “I’m thrilled to be able to bring my learnings from Mina Group, Alinea and Summit Series, and apply it to bring Michelin star level service and hospitality to this industry.”. Given his background, Nate has a wealth of experience optimizing the balance between an affordable price point, quality ingredients and an exciting variety of meals for employees. Since joining Zesty a few months ago, Nate has focused on putting processes in place to ensure that we can deliver on each of these customer expectations. Additionally, Nate has been working to raise our bar on food safety within restaurant catering. Healthy food starts with safe food, and every meal from a Zesty restaurant now has its temperature recorded by our Catering Captains. Restaurants that don’t meet Zesty’s standards aren’t allowed to continue on the platform until they do, and Zesty only works with restaurants that have a health score from the San Francisco Department of Public Health of 86 or above. Under Nate’s leadership, we have also developed a partnership with the non-profit Food Runners, whose mission is to help alleviate hunger in San Francisco, while preventing waste and creating community. 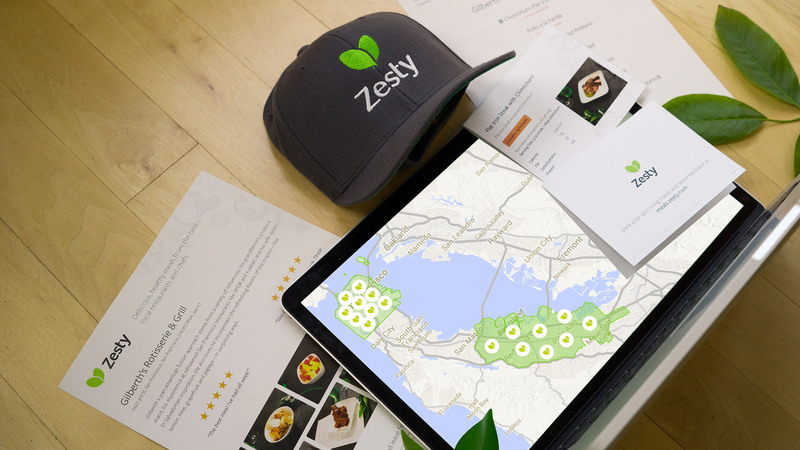 We are excited to offer Peninsula companies with 10 to 1000 employees a free first meal if they sign up to try Zesty before the end of June. To schedule a free trial (with no obligation) for your team, please complete the inquiry form here.